The central domain, making progress, encompassed the organizational mission to empower patients to reach hospital discharge and return to life in the community. Higher order goals, characterized as achieving whole person healing, encompassed patients’ quality of life, self-efficacy, and activities of daily living. 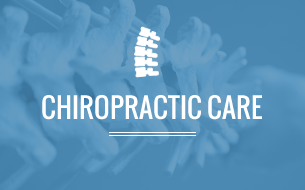 Stakeholders expected the addition of chiropractic to help patients progress toward these goals by improving pain management and physical functioning. Pain management themes included pain intensity, medication use, and pain-related behaviors, while functional improvement themes included muscle tone, extremity function, and balance and mobility. In addition to these direct effects on clinical outcomes, stakeholders also expected indirect effects of chiropractic care on healthcare integration. This indirect effect was expected to increase patient participation in other providers’ treatments leading to improved care for the patient across the team and facility-level outcomes such as decreased length of stay. Stakeholders expected the addition of chiropractic care to a rehabilitation specialty hospital to benefit patients through pain management and functional improvements leading to whole person healing. They also expected chiropractic to benefit the healthcare team by facilitating other therapies in pursuit of the hospital mission, that is, moving patients towards discharge. Understanding stakeholder expectations may allow providers to align current expectations with what may be reasonable, in an effort to achieve appropriate clinical outcomes and patient and staff satisfaction. Among medical colleagues at 9 private sector healthcare facilities, chiropractic care was viewed favorably for patients with MSK conditions, especially in the areas of pain management, functional limitations, and patient satisfaction.